The first results from ground-based system tests on the full-size second generation (Mk II) phased array feed (PAF) receiver for the Australian SKA Pathfinder telescope ASKAP have indicated impressive system temperature performance. 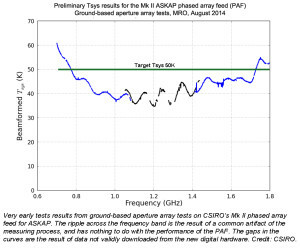 The preliminary ‘ground-based’ aperture array tests were performed with the new Mk II prototype PAF receiver, and associated digital receivers and beamformers, on site at the Murchison Radio-astronomy Observatory (MRO) in Western Australia, the Australian SKA site. 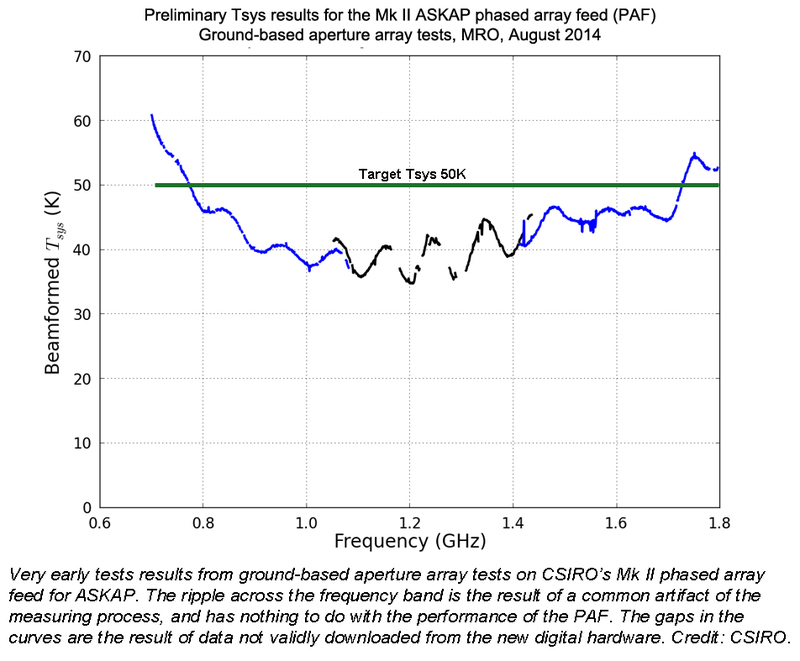 These preliminary results are very encouraging and indicate that the Mk II PAF performs much better than the first generation PAFs already deployed on the first six ASKAP antennas at the MRO, which are currently being used for engineering commissioning. Read the full release on CSIRO ATNF’s website.